Developing deeper, richer customer experiences is the top marketing priority for CMOs this year, with leading marketers embracing digital techniques, co-creation and collaboration to achieve it. The rise of customer-led marketing was the key finding in IBM’s new Redefining Markets: Insights from the Global C-suite Study – The CMO Perspective, released this week. The biennial study represents a survey across more than 700 marketing leaders worldwide. 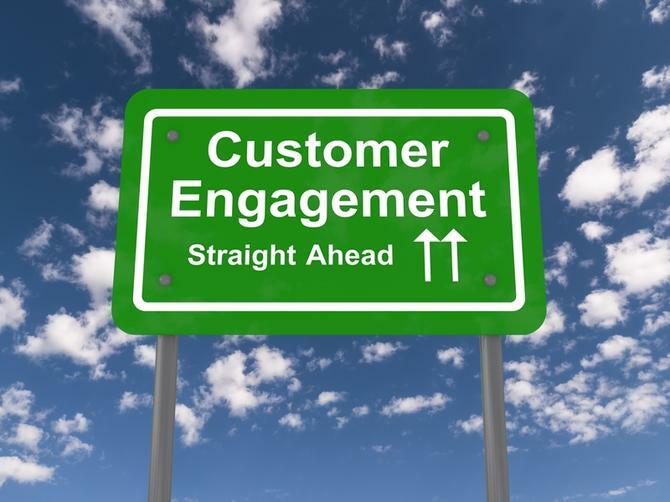 Alongside customer experience engagement, three other key priorities were highlighted in the report. One of these was the rise of what IBM labelled ‘creative destruction’ through technology. Just over two-thirds of CMOs said they are assessing their strategic direction in light of technology disruption, with those from leading organisations more likely to embrace ‘creative destruction’ and embrace more open and collaborative business models for innovation. 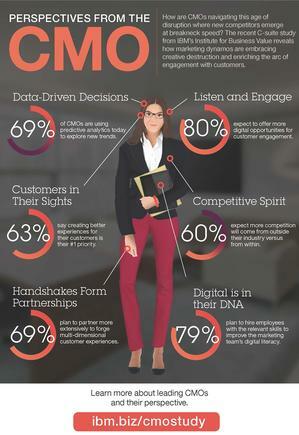 Data was another major priority, and 60 per cent of CMOs said they were preparing to bring in more data-driven insights into marketing campaigns over the next 3-5 years. Marketing leaders are also still playing digital skills catchup, with 79 per cent planning to hire more digitally equipped staff to improve their marketing function’s digital literacy. Three-quarters of respondents said they planned to either partner with other enterprises, or will work with consulting firms in order to improve their digital capabilities. To further understand the level of maturity across marketing leadership today, the report broke down marketing leaders into two camps: ‘Torchbearers’, or those in enterprises with strong financial track records and reputations; and ‘market followers’, or those coming from less financially successful companies with lower market profiles. According to the survey, torchbearers feel they have made greater progress when it comes to managing the data explosion (47 per cent versus 27 per cent), and are also more focused on mapping out the customer journey (82 per cent compared to 65 per cent). In addition, torchbearers are more experimental when it comes to open and collaborative business models to extend their reach and range, and two-thirds were found to be exploring new revenue models, compared with just half of the market follower CMOs. They’re also more interested in co-creation with customers: 66 per cent of torchbearers said they’re focusing on customer collaboration and co-creation, compared with 50 per cent of market follower CMOs. Sixty-one per cent of torchbearers are using customer feedback to explore new trends, compared with 51 per cent of market follower CMOs. In addition, CMOs pointed to the blurring of industry lines as the biggest single trend impacting businesses, with two-thirds expecting further industry convergence in the next few years. This was followed by the redistribution of consumer purchasing power, and the rise of the ‘anywhere’ workplace. A higher percentage of CMOs also expected more competition from new rivals in other industries than they did in IBM’s previous study two years ago. The study was based on surveys of 723 CMOs globally including US and the Asia-Pacific, and across 18 industries. It was part of IBM’s wider C-suite Study which canvassed input from more than 5000 c-suite executives globally.